Janet Puls, Ph.D, M.S.W., L.C.S.W. Dr. Janet Puls serves as Chair of the Social and Behavioral Sciences Division. For over 14 years, Dr. Puls has led the Division with dedication, enthusiasm, and integrity. Prior to joining MBU full time in 2003, she owned and operated a small business, worked in non-profit settings, served as executive director of an inner-city psychosocial and educational mentoring program for high-risk children, worked in a private Christian counseling practice as a psychotherapist, and taught courses part-time at the university level. During her tenure at MBU, Dr. Puls also served full time as Director of Institutional Research in which she was responsible for data mining, developing internal reports for numerous departments, and external reporting to various entities such as DESE, NCATE, and HLC. Dr. Puls holds a Doctor of Philosophy Degree in Psychology from Walden University, a Master’s in Social Work from Saint Louis University, and a Bachelor’s in Psychology and Sociology from Maryville University-St. Louis. She is a member of The North American Association of Christians in Social Work and the National Association of Social Workers in which she has served elected terms as President and Treasurer for the State of Missouri Chapter. 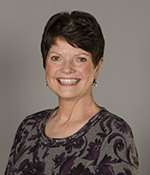 Dr. Puls is licensed in the State of Missouri as a Clinical Social Worker. Dr. Bailey teaches a variety of courses at MBU including: General Psychology; Moral and Spiritual Development; Psychology and the Law; Death and Dying; and Pastoral Counseling and Care Giving. 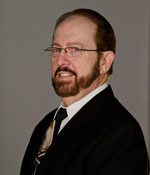 Dr. Bailey received his Master of Arts and Doctoral degrees from Biola University in LaMirada, California. His areas of specialization include the integration of psychology and theology, clinical psychology, neuropsychology, and health psychology. 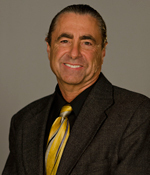 Dr. Bailey’s teaching experience spans over 25 years. He has taught at the graduate, undergraduate, and seminary levels. Dr. Bailey is a licensed psychologist in both California and Missouri. He is also a licensed Marriage, Family, and Child Therapist, Certified Personal Trainer, Ordained Minister, and Christian Life Coach. Dr. Bailey is the senior pastor of StarBridge Christian Center in Wildwood, Missouri, and is the president and founder of StarBridge Ministries. StarBridge Ministries is an interdenominational ministry that provides aid and services to missionaries and missions projects that serve the poor and needy at multiple locations around the world. StarBridge is a nonprofit ministry dedicated to building up strong Christian individuals, marriages, families, and churches through teaching, consulting, counseling, and coaching services. StarBridge Ministries includes a counseling center located in Ballwin, Missouri that specializes in short term solution focused Christian counseling. With over 30 years of counseling experience, Dr. Bailey continues to counsel and supervise Christian Counselors at the StarBridge Counseling Center. StarBridge Ministries recently expanded their name and ministry to StarBridge FaithfullyFit Ministries to reflect their work in health and exercise. Dr. Bailey is a Vietnam Veteran, and was saved and born again in the U.S. Army in 1972. He has been married for over 35 years to his bride Nancy and both enjoy ballroom dancing. Dr. & Mrs. Bailey have two grown sons, two God daughters and one grandchild. Dr. Holly Brand is a Professor of psychology at Missouri Baptist University in St. Louis. She has a doctoral degree in psychology from Saint Louis University and specializes in the area of child, adolescent, and adult development. Dr. Brand is a member of the Society for the Teaching of Psychology, the Society for Christian Psychology, and the American Association of Christian Counselors. Dr. Brand is a public speaker, author, and mentor and incorporates her knowledge of and experience in psychology in these roles as well. In 2017, Dr. Brand was presented with the Missouri Baptist University Distinguished Professor of the Year award. Dr. Keith Beutler teaches history and political science courses at Missouri Baptist, including upper-level courses in his specialty, the United States’ Founding era. In addition to a Ph.D. in History from Washington University in St. Louis, he holds concurrent B.A. degrees in History and Philosophy from Liberty University, an M.Ed. from Union University, and an M.A. in History from The University of Tennessee. Dr. Beutler is a former high school history teacher. 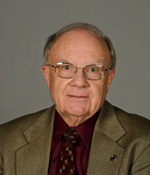 His teaching awards include a 2003 Dean’s award for Teaching Excellence from the Graduate School of Arts and Sciences at Washington University, and 2009 Missouri Baptist University Distinguished Professor. Professional affiliations include membership in The American Historical Association and the Society of Historians of the Early American Republic. He has presented at both organization’s annual conferences on the subject of African-American Patriot veterans of the American Revolution. His forthcoming book, provisionally titled George Washington’s Hair: How Early Americans Remembered the Founders, is under contract with University of Virginia Press. In the course of researching that work, he received research fellowships from numerous historical organizations, including: the Virginia Historical Society, the Gilder Lehrman Institute of American History, the New-York Historical Society, the Massachusetts Historical Society, the Pennsylvania Historical Society, the Library Company of Philadelphia, the American Philosophical Society, the David Library of the American Revolution, the International Center for Jefferson Studies at Monticello, and the College of Physicians of Philadelphia. Dr. Beutler, a member of the university’s “Faith and Learning Committee,” believes, in the late Frank Gaebelein’s helpful words, that “All truth is God’s truth.” “The urgent task of faith and learning integration in my classroom” Professor Beutler explains, “is never as simple for me or my students as peppering lectures or discussions with soothing affirmations of whatever historical suppositions are most current in American or even in American-evangelical culture. It involves looking with care at as much available , relevant academic evidence as possible Simultaneously we strive to exemplify the Christian virtue of humility, taking care to not confuse our own academic hypotheses with received Biblical writ, or to wall ourselves off intellectually from academic colleagues within and without this university.” Dr. Beutler is always eager to work with students willing to take on the special challenge of living as both faithful, honest scholars and as committed servants of Christ. He urges prospective students to feel free to contact him directly with questions or comments. Dr. Arlen Dykstra, MBU provost and vice president for academic affairs, has served in multiple capacities since beginning his employment at MBU in 1972, including: academic dean, professor of history, chairperson for the Social Science Division and director of student development. Dykstra holds a B.A. in behavioral science from Covenant Seminary, a M.A. in history and a Ph.D in American History from Saint Louis University. Dykstra and his wife, Nancy, are the parents of two sons, Ben and the late Kristopher, and have two granddaughters, Danielle and Whitney. engaging teaching style and for creating a learning environment with her students in which all persons are respected, and encouraged to grow intellectually, personally and spiritually. She is described as genuine, personable, and enthusiastic about her students’ learning, and she brings a wealth of real world examples and inspiring stories to her lectures. Dr. Johnson holds a Doctoral degree in Social Work from Jane Addams College of Social Work at the University of Illinois at Chicago, a Master’s degree in Social Work from St. Louis University, and a Bachelor’s degree in Psychology and Business Administration from Missouri Baptist University. 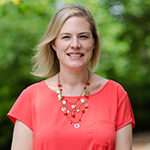 Her teaching and research interests include social work practice with women, adoption and voluntary relinquishment, faith-based program development, cultural competence, and social work ethics. Dr. Johnson is a licensed clinical social worker with 12 years of practice experience working with a diverse range of clients and presenting issues. She has worked primarily with private and faith-based non-profit organizations in areas such as community mental health, youth mentoring, court diversion, adoption, adolescent residential treatment, as well as church, volunteer and community relations. She has completed clinical trainings in the U.S., Finland, Australia and Hawaii. Dr. Johnson’s volunteer experience includes working with the American Red Cross National Disaster Operations for Hurricanes Katrina and Rita, Faith Beyond Walls Poverty Simulation Program, Ranken Jordan Home for Children, and Garden of Innocents as a former board member. She currently serves on the diversity committee for Missouri Baptist University. James B. Kellogg is the Criminal Justice Department Coordinator at Missouri Baptist University. Since taking on this position he has revised the undergraduate Criminal Justice Program and has designed and developed the Criminal Justice Online Master’s Degree Program. Mr. Kellogg brings to his classroom a wealth of knowledge. He has training in Anti-Terrorism, Response to Child Abductions, Human Trafficking, High Risk Incidents, and Hostage/Suicide Negotiations. Without question, Mr. Kellogg strongly believes in the incorporation of Christian principles, ethics and absolute truths in his teaching and daily interaction with students. In today’s Criminal Justice world living ethically is imperative, yet many do not know how to do so, nor do they know from where their ethics should come. Mr. Kellogg has a desire that all Criminal Justice students learn ethics from a Biblical Christian perspective that will prepare them to face any ethical dilemma that will arise in the heat of the day and win the battle. Giving back to the community is important to Mr. Kellogg. He volunteers his time at his church to serve others. He has been a volunteer in outreach ministry to the homeless and participates in mission trips both nationally and internationally. 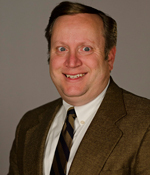 Mr. Kellogg holds a Bachelor of Arts degree from Missouri Baptist University and a M.A. degree in Business from Webster University. He urges any current or prospective students to feel free to contact him with any and all questions and comments they may have. Dr. R. Alton Lacey took the reigns of Missouri Baptist University in 1995 as the University’s sixth president. Under his leadership, MBU’s enrollment has more than doubled; the University has introduced graduate and post-graduate programs and a multitude of new undergraduate degrees; MBU has seen a $10 million campaign–the largest development project in MBU’s history–successfully come to fruition. Lacey has earned degrees in chemical engineering (B.S.-Louisiana Tech University), religious education (M.A.-Southwestern Seminary) and psychology (Ph.D. – SWBTS) and has done postgraduate work at the Harvard Institute for Educational Management. Academic honors include membership in Omicron Delta Kappa (leadership) and Omega Chi Epsilon (chemical engineering). He is married to Pat, an accomplished vocal performer and Assistant Professor of Music at Missouri Baptist University. They have two children: Aaron (born 1977), an attorney in Washington D.C., and Brenna (born 1984), a recent vocal performance graduate of Belmont University. 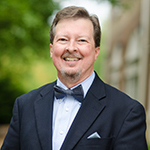 As dedicated professional educator, Larry Richardson has served as an English teacher, school counselor, university academic advisor, and university instructor. Throughout his years in public and university education, it has been his goal to make the individual success of each student his primary goal in serving them. After obtaining his Bachelor of Arts degree from Southwest Baptist University, Bolivar, Missouri, Mr. Richardson began his career as a junior high school and high school English teacher. Upon completion of his Master of Science in Counseling degree from Missouri State University, Larry became the high school counselor for Stockton High School, Stockton, Missouri, for six years. When a ministry opportunity was offered to him, Larry moved back to St. Louis, Missouri, where he served as Minister of Music and Designated Ministries Coordinator at First Baptist Church, Fenton, Missouri; during which time, he obtained his Bachelor of Arts in Music degree from Webster University. After six years in ministry, Larry returned to school counseling for Rockwood School District where he worked as both a middle school and high school counselor for fifteen years. Upon retirement from Rockwood School District, Larry became Coordinator of Graduate Advising and Instructor of Counseling and Human Services for Missouri Baptist University. Throughout his years as an educator, Mr. Richardson has also usually served local churches as part-time music minister, interim music director, or in some support role within the ministries of the local church. Missions and personal evangelism remain primary focuses in Larry’s life and service. 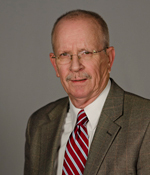 Dr. Loftin C. Woodiel is a dynamic university professor, criminal justice professional and corporate security executive with a successful track record of performing with excellence. An assistant professor with Missouri Baptist University’s Graduate Programs in Criminal Justice & Corporate Security Leadership. 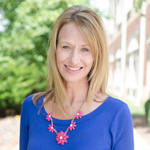 Dr. Woodiel is a nationally recognized researcher and communicator with a demonstrated ability to achieve global understanding and compliance through quality discovery and presentation. He is a prolific writer with over 140 publications to his credit, and he has provided strategic leadership to a number of international criminal justice / security initiatives and conferences. Dr. Woodiel has chaired Academy of Criminal Justice Science (ACJS) panels in “Vulnerability Assessment and Target Hardening,” “International Practices in Profiling, Prevention and Counterterrorism,” “Victimization and White Collar Crime,” “White Collar Crime Trends,” “Crime Prevention to Explain Criminal Incidents,” “Need for Inter-Disciplinary Partnerships to Improve Security & Crime Control,” and others. Most recently, he served on the American Society for Industrial Security (ASIS) International’s Technical Committee and/or Working Group to develop a global “Physical Asset Protection (PAP) Standard,” “Management Requirements with Guidance Regarding System for Quality of Private Security Company Operations,” “Chief Security Officer — An Organizational Model,” “Risk Assessment Standards,” “Managing the Investigation Process,” and others. Dr. Woodiel is a U.S. Air Force veteran who excelled in three leadership tiers: airman, NCO, and commissioned officer. An innovative, results-driven federal law enforcement and security professional, he has the proven ability to successfully build and integrate high-performance policing and investigative programs. Whether representing the U.S. government interests at major protests in foreign countries, managing an investigation into the disclosure of classified material, extracting potential terrorists from nuclear missile sites, or protecting the human and tangible assets of a community, Dr. Woodiel has charged the motivation and productivity of his teams, elevating their performance to award-winning caliber via mature composure, clarification of job knowledge and expectation, and solid leadership. As an up-front international security executive, Dr. Woodiel possesses the business acumen to influence and drive change. 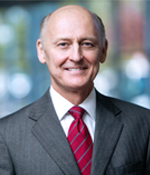 While with a high profile, multi-national bank & financial services corporation, Dr. Woodiel led the integration of four global business units, each with multiple subsidiary companies, into one corporate physical security structure — analyzing security operations of each; identifying security gaps and individual processes; building key relationships and trust; developing goals and strategy; and implementing standardization that improved overall security. Dr. Woodiel’s internationally seasoned security leadership has been illustrated in several situations, including: the extraction of Mexican cartel influence and fortification of physical / process security in a Latin American financial services market; implementation of successful anti-terrorism techniques at key European offices under challenge by the Animal Liberation Front; and the enhancement of physical protective service measures for Greek offices as national riots intensified. His robust international corporate travel security program coupled with defined executive and expatriate protection programs are considered the highest quality by industry leaders. He proactively shaped the security culture of his Fortune 100 client through the design and delivery of global “Security Tone from the Top” and “Security in the Workplace” awareness training. Dr. Woodiel is currently the ACJS Security & Crime Prevention Section Chairman and a past president of both the Saint Louis FBI Sponsored Infragard Alliance and the Saint Louis “Top Secret” Security Users Group. He is a member of the Academy of Criminal Justice Sciences (ACJS); American Society for Industrial Security International (ASIS); Association of Certified Fraud Examiners (ACFE); the Midwestern Criminal Justice Association (MCJA); and the Saint Louis Terrorism Early Warning Group (EWG). Degreed in multiple disciplines, Dr. Woodiel earned his Ph.D. from Saint Louis University with focus on “Crime in American Society;” an M.A. from University of Central Oklahoma in Criminal Justice Management & Administration; a graduate certificate in International Terrorism Studies from the University of Saint Andrews; bachelors’ degrees from both Western Illinois University and Southern Illinois University in liberal arts; and an A.A.S. from the Community College of the Air Force in Law Enforcement. 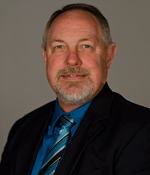 Dr. Woodiel earned his Certified Protection Professional (CPP) credentials from ASIS. Recent awards include the 2012 Allan J. Cross Award from ASIS for continuing studies and the Order of Merit from the U.S. State Department’s Bureau of International Narcotics & Law Enforcement Affairs for his work with the Republic of Georgia’s Ministry of Corrections in Tbilisi.